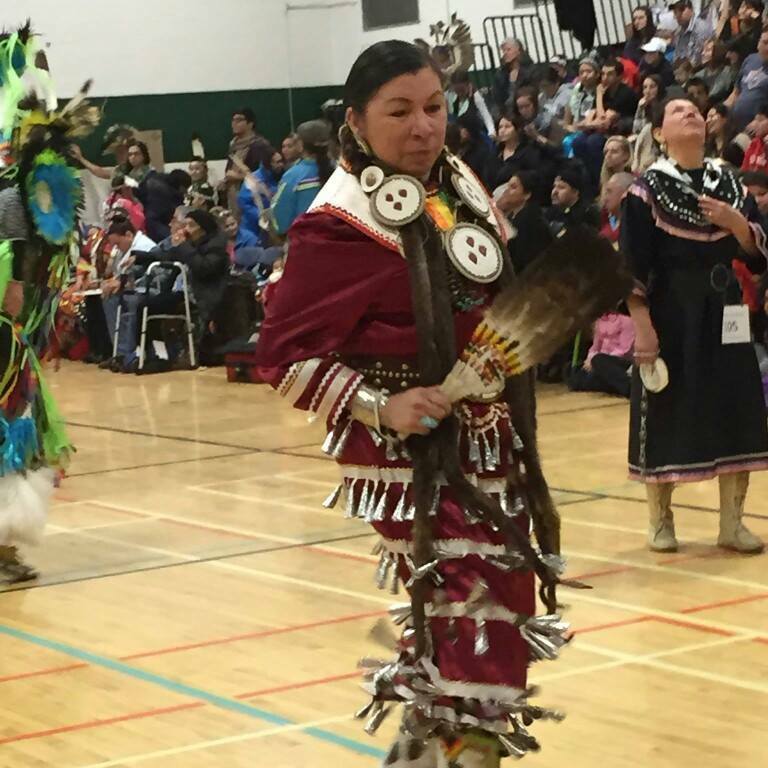 Karen J Pheasant-Neganigwane is a seasoned dancer of the contemporary constructed cultural artifact – the Powwow. Currently she dances as a Jingle Dress dancer, and her writing is from a cultural theorist position as an Anishinaabe Nokomis (Ojibway Grandmother) As well, she addresses the issues with the 8th Fire prophecy framework. The Anishinaabe have a prophecy of the 8th Fire, which “declares now is the time for Aboriginal peoples and the settler community to come together and build the 8th Fire’ of justice and harmony” (http://www.cbc.ca/8thfire/). Pheasant served as a cultural advisor and Artistic faculty with the first Aboriginal Dance Program in North America at The Banff Center for the Arts. The ground breaking program brought together diverse traditional and contemporary Aboriginal/Inuit dancers from Canada, the USA, Mexico and Greenland. From 1996-2003, she contributed to a unique program that experimented with an indigenous approach to movement and dance performance. This program was the incubator for developing a new generation of choreographers and Aboriginal dancers working in Canada and abroad and served as a model for various schools for indigenous dance internationally. In 2004 Pheasant début as a choreographer/director with the Debajehmujig Theatre Group a dance theatre piece – The Promise. A story of how the Jingle Dress became a contemporary phenomenon. Her work values movement as an expression of indigenous worldview, including the honoring of matriarchal leadership, dance as a reclamation process for transformation and healing, the process of decolonizing the body, and the sacred ecology connection with all forms of life on earth. Pheasant’s Doctoral research is titled, Dance for Change: Achieving Mnaamodzawin (The Good Life).